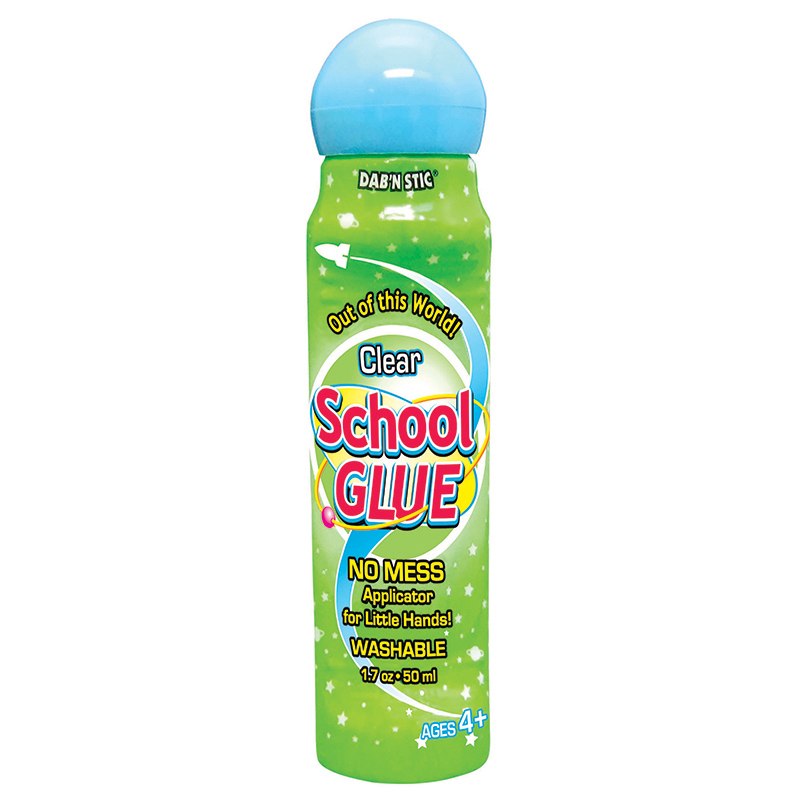 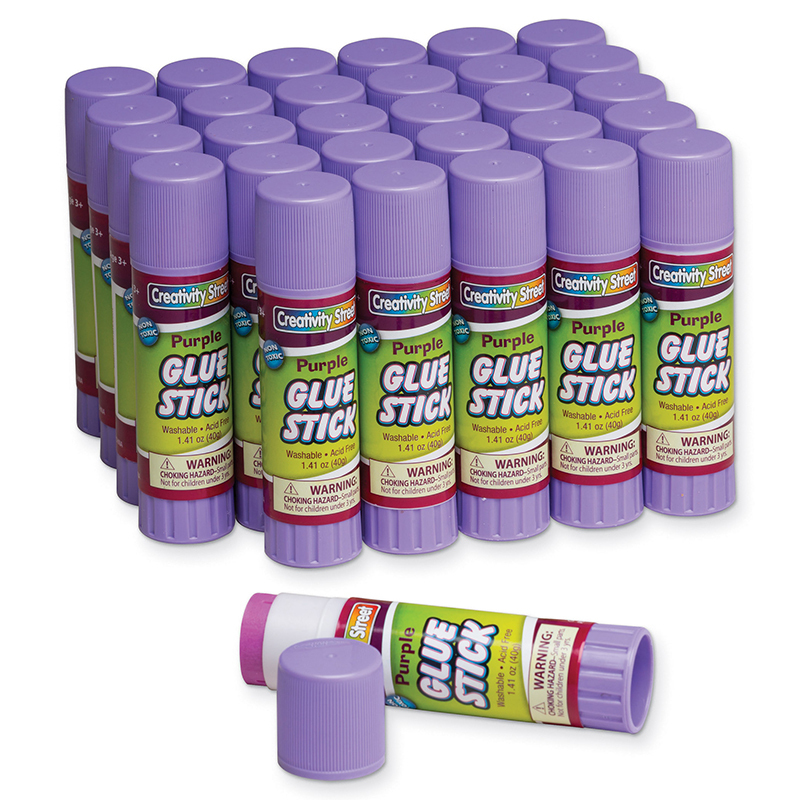 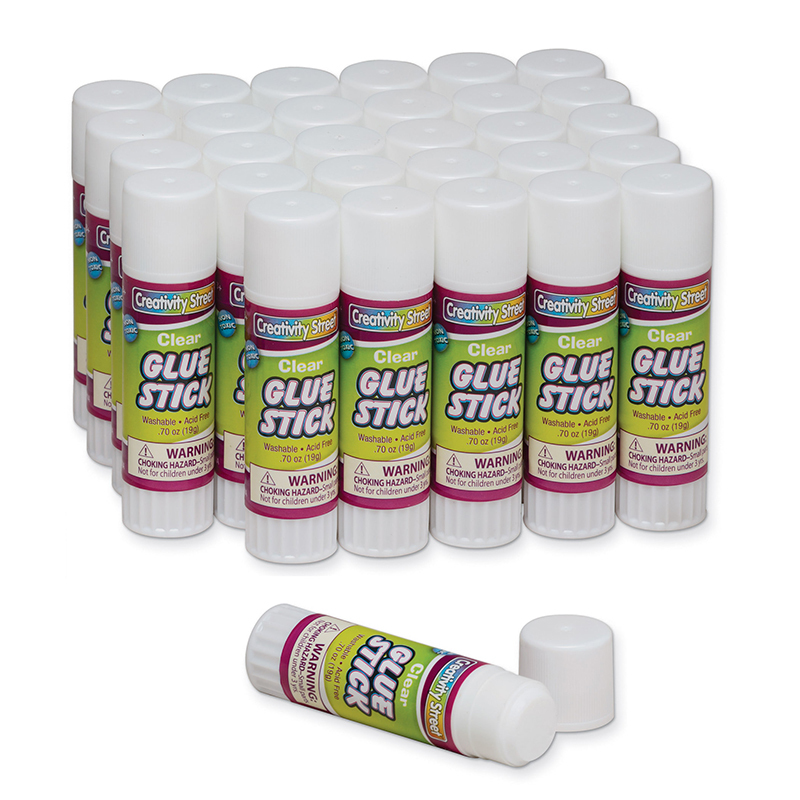 The Glue Sticks Bonus Bag 100 Pc can be found in our Glue/adhesives product category within the Arts & Crafts. 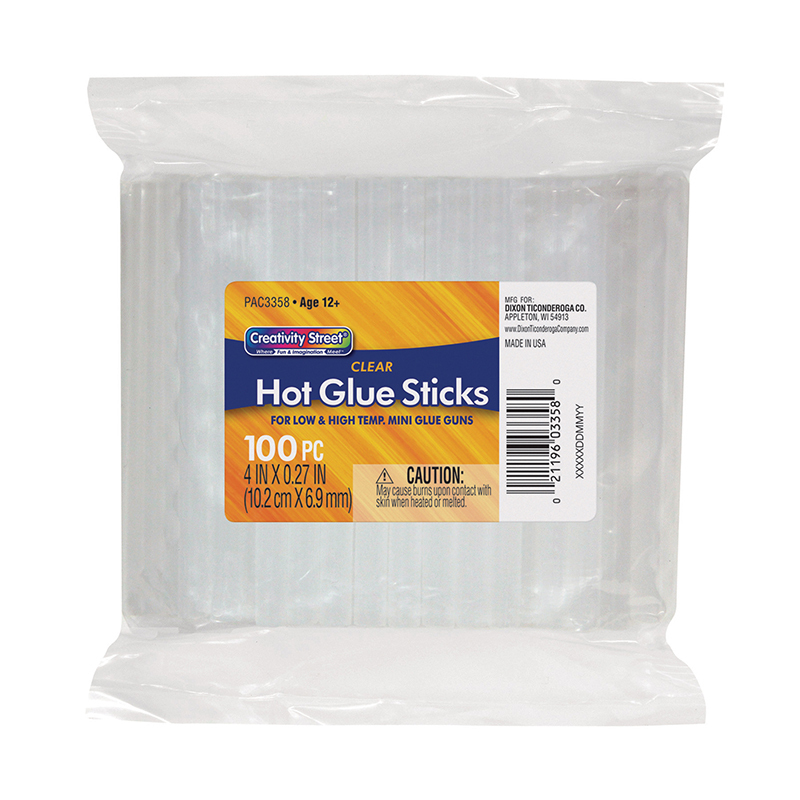 These clear glue sticks are 4" long x 5/16" diameter. 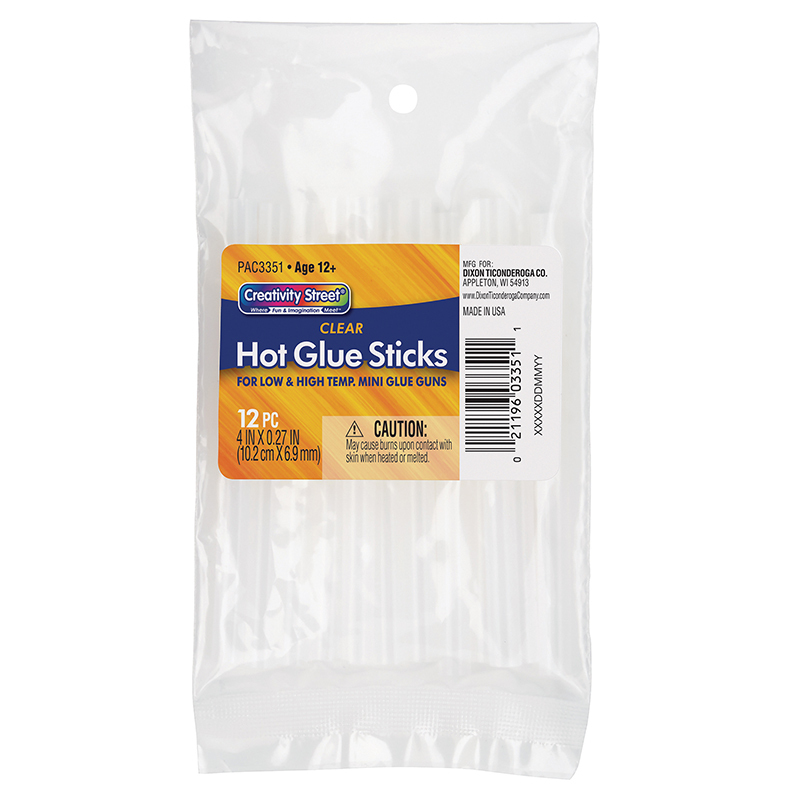 they work extremely well in dual temp hot and lo temp glue guns. 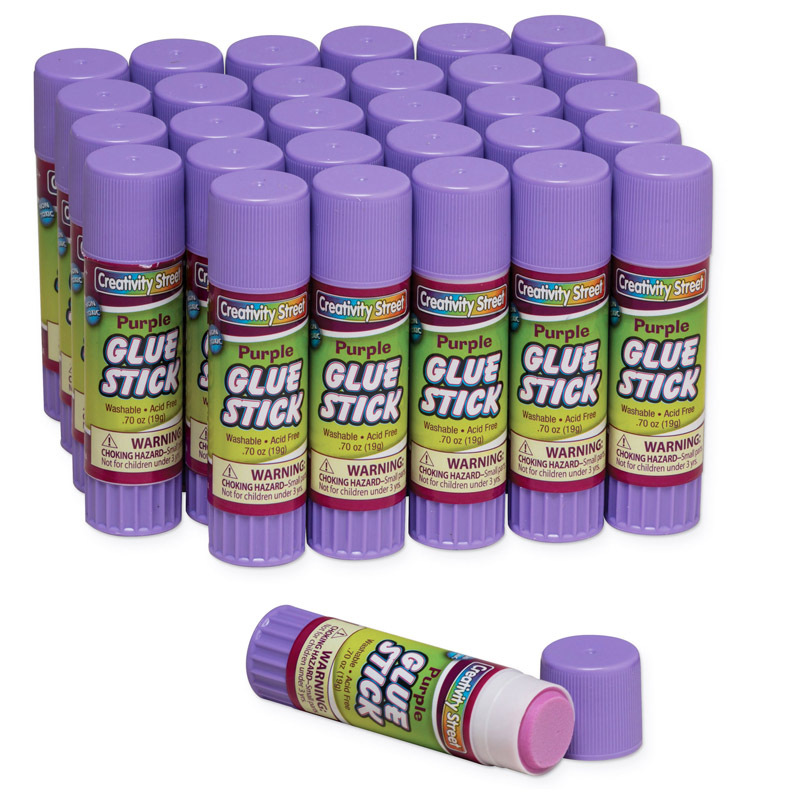 12 sticks per bag.